Italy’s peculiar cultural variability is the result of population movements and invasions from the Mediterranean Sea, which took place in both historical and prehistoric times. Due to many interesting places such as the city of Rome, Central Italy was endured by migrants, who have contributed to Italy’s culture, linguistics and also genetics. Chapter One reconstructs human demic movements in central Italy using both archeology and genetics. 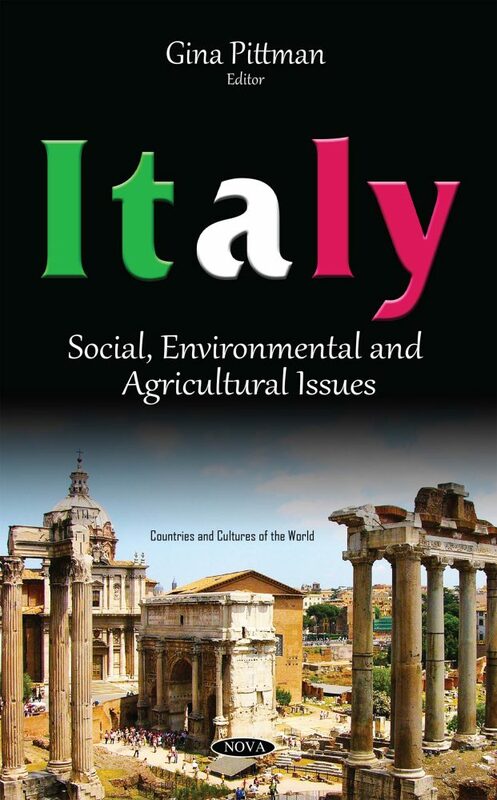 Chapter Two addresses issues in the conceptual context of land take, which is a change in agriculture, forestry, and other lands due to urbanization and artificial land development, in Sardinian urban areas of Italy. Moreover, global warming has had a negative impact on water balance, natural systems, and agriculture activities. Chapter Three provides a seasonal analysis of crop evapotranspiration based on the Penman-Monteith equation in the Po River Delta in Italy.